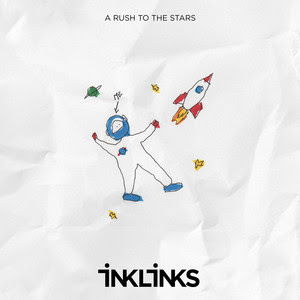 Boston-based, alternative-rock 4-piece band Inklinks have just released their debut single A Rush To The Stars. The soaring guitars were what caught my attention towards this song that talks about self-doubt that often accompanies the moment of creation. This is quite a cool piece of alt-rock music, with meaningful lyrics, smooth vocals and groovy melodies. My favourite part has to be the guitar riffs and that impeccable guitar solo is definitely the star of the song. Stream it below! A Rush To The Stars is the first single to be taken from their upcoming Ordinary Heroes EP. The guys merged their love for soaring pop music with a bittersweet brit-rock vein.